André Peters Knowledgeable, Dedicated, Trustworthy...You Deserve the Best! André Peters Real Estate Broker your Expert source -Wenatchee Luxury Homes for Real Estate in Wenatchee, East Wenatchee, Chelan, Leavenworth and Columbia River area. 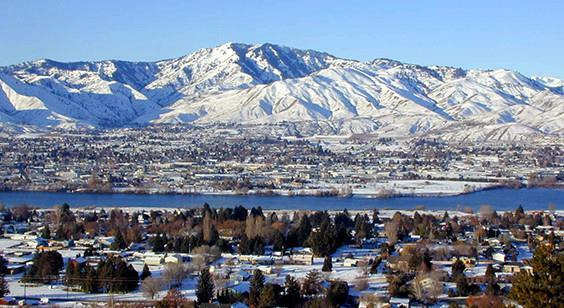 Wenatchee is located in the heart of Washington State at the confluence of the Wenatchee and Columbia Rivers near the eastern slopes of the Cascade Mountain range midway between Seattle and Spokane. The Wenatchee Valley is home to a plethora of places to hike, fish, and hunt both birds and larger game. 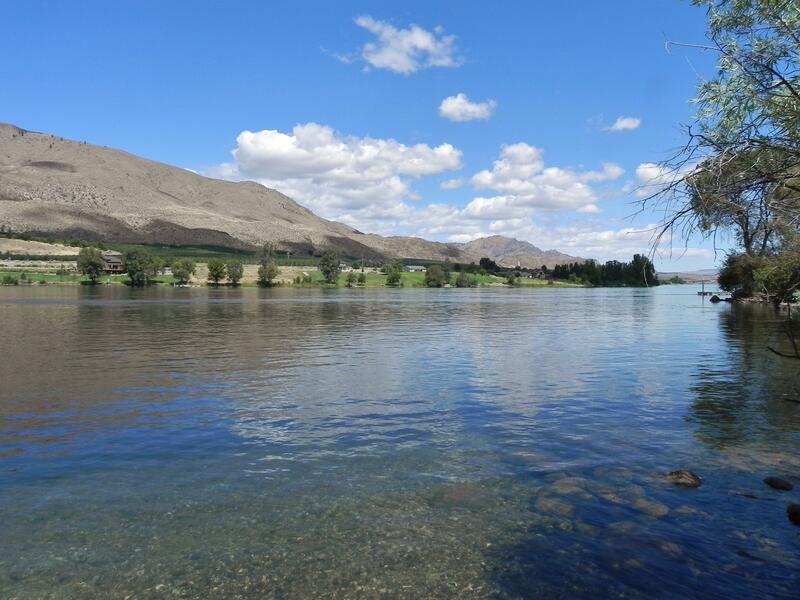 Water recreation includes kayaking, windsurfing, and water skiing on the Columbia and whitewater rafting and inner-tubing on the Wenatchee River. In the winter you can enjoy snowmobiling, sledding, or skiing and snowboarding at Mission Ridge, a short 30-minute drive from town. The 22-mile Apple Capital Recreational Loop Trail, which runs along both sides of the Columbia River, and the Rocky Reach Trail is a 5 mile trail along the east shore of the Columbia River in Douglas County, offers even more options for cyclists, walkers, joggers, and skaters. Wenatchee Area Real Estate changed in 2004, Wenatchee created a plan for its vision of future waterfront development along the Columbia River and three major components of that plan have been completed, including the Town Toyota Center, Riverside Drive, Riverwalk Condominiums and Pybus Market the Wenatchee Valley Famers Market. Pybus Market was voted the Best Farmers Market in the Northwest by Evening Magazine. Look forward to additional condominiums, shops, hotels, and restaurants to the waterfront future. Welcome to the Wenatchee Valley—a great place to live, work and play! Wenatchee Area Real Estate "Apple Capital of the World"
If you are a pote ntial Seller, NOW is a GREAT time to Sell real estate in the Wenatchee Valley markets. Real estate interest rates are lows and there are less new listings of new inventory being added daily to choose from. Many good homes are selling quickly. Whether it's a new home or investment properties - now is the time to SELL! Looking to Buy like other homebuyers to the hottest market where homes for sale in the Wenatchee area Real Estate are Selling quickly. Let me help with my New Listings Notification system. Sign up now! In today's Seller's competitive real estate market, timing is everything. As a Buyer it is more important than ever to be working with a lender prior to looking for your home. Sellers are knowledgeable regarding property value and properties are not sitting on the market long if priced right. My impressive SOLD track, tells everyone that I have an amazing marketing plan to get your property SOLD quickly! If you own real estate in the Wenatchee Area that you're thinking of selling, I would be happy to provide you with a FREE Comparative Market Analysis for your property. You can go to the Seller tab of our website and enter your criteria about your home or property and we will provide you with a speedy response. Whether you are buying or selling a home, land, or commercial properties in the Wenatchee, East Wenatchee, Chelan or Leavenworth area, Washington, hire someone like me, who wants to earn your business. I specialize in helping people with all their real estate needs and I'm prepared to make your dream a reality. I would like to invite you to contact me as I'd be happy to assist you with all your Real Estate!